We’re always glad to help you find the information you need. Here are some of the questions we’re asked most frequently and the answers to each of them. Have a question you don’t see answered below? Feel free to contact us. Where can I find information about owning a Kwik Trip franchise? Kwik Trip Inc. is a privately owned family company. Franchising is not available. Where can I find a store near me? Can I buy shares of Kwik Trip stock? No, Kwik Trip Inc. is a privately owned family company. Please apply online at https://jobs.kwiktrip.com. On that page, you’ll also be able to find a complete list of hiring events near you. What is Kwik Trip Kares? Kwik Trip Kares is Kwik Trip Inc.’s corporate donation program. Does my organization qualify to receive a donation from Kwik Trip Kares? If your organization is considered non-profit or tax exempt, you may qualify for a donation if approved by the committee. Our funding is limited to supporting basic human necessities, such as food pantries, human health issues, police, fire and military protection. How do I submit an application requesting a donation? To apply for a donation, please visit the application page. Where should I send additional materials to complement my donation request? If you have supplemental material to accompany your donation request, please email it to donations@kwiktrip.com. Please be sure to reference your donation request ID number in the email. When will I be contacted about the decision on my donation request? Due to the large number of requests that we receive, we ask applicants to allow four to six weeks for a decision to be made. How long will it take for me to receive a decision on my request? The donation committee meets on the fourth Tuesday of each month. Please allow four to six weeks for a decision to be made. What kind of donation should I expect to receive? Donations range from monetary to in-kind. Are there programs that Kwik Trip Kares will not fund? Do I work with my local store regarding a donation? We ask that all donation requests be submitted through our online system. You will then be directed to contact your local store if necessary. Only requests submitted through this site via the application page will be considered for funding. Requests submitted by mail, phone or email will not be considered for funding and those applicants will be redirected to complete the online application process. Is E85 fuel really a smart choice? It’s homegrown and renewable, reducing our dangerous dependence on foreign oil. It’s cleaner than petroleum-based fuels, cutting ozone-forming pollution by 20 percent and reducing greenhouse gas emissions by nearly 30 percent. It’s less toxic for the environment. Unlike gasoline, E85 contains no toxic compounds like benzene, toluene and xylene. Finally, it has fewer BTUs per gallon than gasoline (so your fuel economy may go down a little), but its lower price often makes up the difference. How do I know if my vehicle is designed to accept flex fuel? Look for a label on the inside of your vehicle’s fuel door, check your owner’s manual or visit www.CleanAirChoice.org and www.afdc.energy.gov to see if your vehicle is listed as a flexible fuel vehicle (FFV). Flexible fuel vehicles (FFVs) look like regular cars, trucks or SUVs, but they’re equipped to run on any blend of ethanol from zero to 85 percent. Today, there are millions of FFVs on U.S. highways. FFVs are fully warranted and typically available at no extra cost to the consumer. To safely and effectively operate a vehicle on E85, the vehicle must be compatible with use of alcohol. Aftermarket conversion of gasoline-powered vehicles to ethanol-fueled vehicles, although possible, is not recommended because of the necessary changes in component materials, the high cost and the need for extensive calibration. What’s the story about octane? Gasolines are generally rated with an anti-knock index number that measures octane quality. Determined by engine tests, this number reflects a gasoline’s ability to resist engine knock—a heavy rapping noise that can lead to loss of power or mechanical damage. A fuel’s octane number does not mean higher quality, better performance or improved miles per gallon. It is only the level to which the gas combats knocking. Most cars today are designed for regular unleaded gasoline with an octane number of 87. For a severe knocking problem, for example, an 89 octane fuel will more effectively prevent knocking than an 87. If your car runs knock-free on a lower octane fuel, it is a waste of money to buy high-octane fuel. Consult the owner’s manual for your car’s recommended octane level. Any tips for saving even more money on fuel? Absolutely, and these tips work no matter what type of vehicle or fuel you use. Yes. They are inspected and held to the same safety and fire protection standards as gasoline or diesel-powered vehicles. Is compressed natural gas (CNG) safe? Yes. Natural gas is a very safe fuel and used by millions of Americans every day. CNG has a higher ignition point combined with a narrow flammability range, making it safer relative to gasoline. If a CNG leak occurs, the gas, being lighter than air, will dissipate into the atmosphere quickly, greatly reducing the threat of fire. What are some other benefits of natural gas? The U.S. has the largest natural gas reserves in the world. Natural gas can power America’s vehicles, homes and businesses for generations to come. By converting to natural gas, you help create and support a demand that will generate domestic distribution, service and production jobs in America. The dollars you spend at the pump go right back into the American economy, not overseas to finance foreign economies. What are the environmental benefits of using natural gas as fuel? Is compressed natural gas (CNG) affordable? Absolutely. CNG currently costs 30 percent less than gasoline or diesel fuel in a per-gallon comparison. What’s more, because most CNG comes from America, the markets for CNG are less sensitive to foreign events, unlike the volatility of petroleum-based foreign fuels. Thanks to the lower cost of CNG fuel, converting your existing vehicle or purchasing a natural gas vehicle (NGV) generates an attractive return on investment. Unleaded 88 is a blend of gasoline containing 85 percent 84 octane gasoline and 15 percent ethanol. It is similar to Regular or Unleaded (10 percent ethanol) with just a little more ethanol. Unleaded 88 has more octane than Unleaded and also costs less, making it the best value gasoline product for your vehicle. Who can use Unleaded 88? All 2001 or newer vehicles can use Unleaded 88. In 2011, the U.S. Environmental Protection Agency (EPA) tested and approved the use of Unleaded 88 in all light-duty vehicles made in 2001 and after. The Energy Department test program was comprised of 86 vehicles that were operated up to 120,000 miles, each using an industry-standard, EPA-defined test cycle called the Standard Road Cycle. The resulting Energy Department data showed no statistically significant loss of vehicle performance (emissions, fuel economy and maintenance issues) attributable to the use of Unleaded 88 fuel compared to straight gasoline. How do I make a gas related claim? Print the Customer Claim forms below or call 608-781-8988; ask for Risk Management and we will send you the proper forms. Have your mechanic or repair facility fill out the Service Data portion of the form. Send the complete form along with copies of your repair bill to the address on the form. We will reimburse you for any legitimate fuel-related repairs and the gasoline. What is the Kwik Rewards program? The Kwik Rewards program lets you earn rewards and discounts just for visiting our stores. It’s our way of rewarding our loyal guests. How do I sign up for the Kwik Rewards program? Pick up a Kwik Rewards card at any Kwik Trip or Kwik Star location, then register it online at www.kwikrewards.com. You can also download the Kwik Rewards app and sign up with a digital card. We currently offer a 15th Visit Reward, Digital Punchcards, Exclusive Coupons and Fuel Discounts. How can I earn fuel discounts? Why didn't I receive a visit? You may only earn one visit within a two-hour period. For example, if you use your card at the fuel dispenser and then make a food purchase inside the store, you will only receive one visit. Why didn't I receive the reward I was expecting? If you didn’t receive the reward you were expecting, please contact customer support at 1-800-305-6666. You earn rewards by making qualifying purchases. For a complete list of promotions visit www.kwikrewards.com. How will I know If I've earned a reward? You can track your available rewards on the Kwik Rewards Mobile App, website or on the bottom of your receipt. You must register your Kwik Rewards card to redeem your rewards. Visit rewards expire 365 days after they have been earned. Fuel discounts expire 30 days after they have been earned. For all other reward details, please refer to the Kwik Rewards app or website. You start earning your way toward rewards the moment you use your Kwik Rewards card in one of our stores. You must register your card at www.kwikrewards.com to redeem your rewards. Rewards may take up to 24 hours to show up in your account. You can track your available rewards on the mobile app, website or on the bottom of your receipt. Is the Kwik Rewards card a credit/debit card? The Kwik Rewards base card is not a credit/debit card. However, we do offer a Kwik Rewards Plus Credit/Debit card where you can receive instant fuel and in-store discounts. What's the difference between Kwik Rewards and Kwik Rewards Plus Credit/Debit? The Kwik Rewards program does not have payment attached to it. For additional fuel and in-store discounts, you have the option to upgrade to the Kwik Rewards Plus Credit/Debit card. This program offers you the ability to use your card as a form of payment plus the benefits of the Kwik Rewards base program. Where can I find the terms and conditions for these programs? Can I sign up for Kwik Rewards without an email address? An email address is required to register and communicate program offers and details. You have the option to opt out of promotional emails by unsubscribing at the bottom of any email. Can I sign up for Kwik Rewards without a mobile phone? A mobile phone number is required to register for the program and is used as your alternate rewards ID. You also have the option to receive text messages with special offers and deals. Is there a minimum age to participate in the Kwik Rewards program? You must be at least 13 years old to join. If you are between 13 and 18 years old, you’ll need permission from your parent or legal guardian to enroll. How do I use my Kwik Rewards card at the pump? Before fueling, insert your Kwik Rewards card or choose the selection for alternative ID. Then select your payment method. If you are redeeming fuel discounts at the pump, follow the on-screen prompts. My card has been lost/stolen, what should I do? Please contact customer support at 1-800-305-6666. Can I add other people to my Kwik Rewards account? The Kwik Rewards program is open to individuals only. The rewards belong to the registered user of the account. You can update your account information at www.kwikrewards.com, using the Kwik Rewards Mobile App or by calling customer support at 1-800-305-6666. I no longer want to participate in the Kwik Rewards program. What happens if I have more fuel rewards than the price of fuel? The fuel dispenser will never decrease the price of fuel below $0.019. Fuel discounts are valid for a single use only, up to 30 gallons. Is there a fee to join Kwik Rewards? The Kwik Rewards program is free to join! Digital Punchcards are virtual cards where you can earn free products. For example, “buy 10 Pepsi 20-oz. bottles, get the 11th free.” For a list of current Digital Punchcards, visit www.kwikrewards.com or log into your Kwik Rewards Mobile App. Do I have to have a smartphone to participate? A smartphone is not required—but we do require a mobile phone number to register. This number will be used as your alternate rewards ID. You also have the option to receive text messages with special offers and deals this way. If I forgot to show my card, do I still get my rewards? You must swipe, scan or enter your alternate ID before the transaction is finalized to earn or use your rewards. Where can I use my rewards? You can use your rewards at any Kwik Trip, Kwik Star or Tobacco Outlet Plus Grocery stores. Why am I having trouble redeeming rewards at the store? You must register your card online before redeeming your rewards. If you are still having trouble, please contact customer support at 1-800-305-6666. No. At this time, you cannot transfer your rewards to anyone else. Your phone number can be used as your alternate rewards ID. Phone number changes can be updated in your account settings or by calling customer support at 1-800-305-6666. What if my email changes? You must call customer support at 1-800-305-6666 to update your email address. The Kwik Rewards Plus Credit/Debit offers you additional fuel and in-store discounts. This program gives you the ability to use your card as a form of payment plus all the benefits of the Kwik Rewards base program. Why would I want the Kwik Rewards Plus Credit/Debit? In addition to the benefits of the Kwik Rewards card, you will earn 3¢ per gallon on fuel and 5 percent on most in-store purchases. These discounts are applied instantly at checkout when you use your card. Can I give my rewards to a charity of my choice? Yes, you have the option to give your discounts (3¢ per gallon of fuel and 5 percent in store) to the charity of your choice. Restrictions apply. Contact customer support at 1-800-305-6666 for details. Can I use my alternate ID to pay for my purchase? No, you cannot use your alternate ID to pay for any purchases at this time. Can I use the Kwik Rewards app to pay for my purchase? Not at this time. The in-app barcode only scans to earn and redeem rewards. The barcode does not charge to your Kwik Rewards Credit/Debit card. How do I download the Kwik Rewards app? The Kwik Rewards app is available on Apple and Android devices. Search Kwik Rewards in your Apple or Google Play store. The Kwik Rewards app is available on both iPhone and Android devices. The Kwik Rewards app is free to download and use. Why isn't the Kwik Rewards app available on my device? 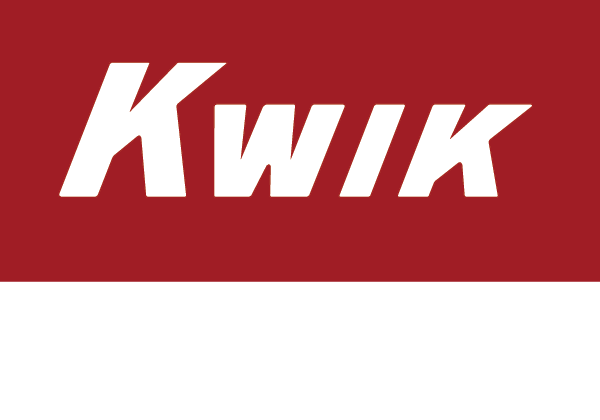 Unfortunately, the Kwik Rewards app is only available on iPhone and Android devices. How do I log in to the Kwik Rewards app? Use the same email and password you created during registration. If you have forgotten your email or password, click “Log In,” then “Need help signing in?” and follow the prompts. If you do not have a rewards account, click “Sign Up” and follow the registration prompts. How do I use my digital Kwik Rewards card? From the home screen, tap the red barcode icon and present the barcode at the register. You also have the option to add your digital Kwik Rewards card to your Apple or Google Wallet. Can I use my digital Kwik Rewards card at the pump? Not at this time. You can use your physical Kwik Rewards card or enter your alternate ID to earn or redeem your rewards at the pump. Can I redeem my rewards using the Kwik Rewards app? Yes! Be sure you’re logged into your account, then present the barcode at the register. I lost my physical Kwik Rewards card. Can I request a new one in the app? Not at this time. You can always pick up a new Kwik Rewards Card in store and call customer service at 1-800-305-6666 to link this new card to your account. Can I use the Kwik Rewards app to pay for my purchases? The Milk Moola Program has been discontinued. What fundraiser options are available? After assessing the impact of this fundraising program, we discovered that the cost to administer the program outweighed the dollars Kwik Trip directly funded to help the participants. Because of this, we have made the decision to end the Milk Moola program on March 31, 2019. We have reallocated our efforts and donations in a different direction in order to more effectively serve our communities.